Owner Vandalism and Building Restoration I’d like to think that the days of covering the façade of a Victorian house with asbestos shingles or the brick walls of an early 20th century building with stucco are long gone, but this type of owner paid for vandalism continues today. Owners, especially with properties in economically challenged areas, are misguided into thinking that “modernizing” the exterior of their buildings will lead to new tenants and economic stability. We’ve known for decades that this is almost never successful. A recent sad example in Modesto is the painting of the concrete walls of the Wells Fargo branch on McHenry Avenue. The original World Savings Building was designed by the noted trio of Peters, Clayberg, and Caulfied in 1972 and was a remarkable example of brutalist modernism. The once textured and shaded concrete walls are now duller and flatter than any wide expanse of stucco. You don’t have to be a fan of brutalism to realize the aesthetics and the architectural integrity of the building are significantly diminished for the effort. Perhaps the most offensive examples of owner vandalism are on the block of 10th Street between I and J. Historic photos of the street show handsome early 20th century, art deco, and California colonial buildings. Today the block, mostly covered in stucco, is one of the most unsightly in the city. The good news is under the stucco of many of those buildings are the original facades waiting to be uncovered. We have long known that the best way to keep the value and attractiveness of a property is to maintain its architectural integrity. It isn’t as if the building must be frozen in time; rather, any changes should be in keeping with the style and scale of the original building especially the exterior. In cities all across the country, programs are now in place to return historic altered buildings to their original beauty. If you have any doubt that restoration of historic buildings can be done successfully in Modesto, just look at what the Finch Fund has done with the former post office building. They have created a 21st century office building and maintained its architectural integrity and beauty. 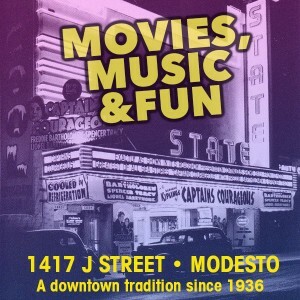 Wouldn’t it be fantastic to see something similar happen to other historic buildings in Modesto? Buildings like the old Elk’s Building and the former World Savings Building on I Street, as well as the Beaty Building on J Street are ripe for sensitive restoration and reuse. 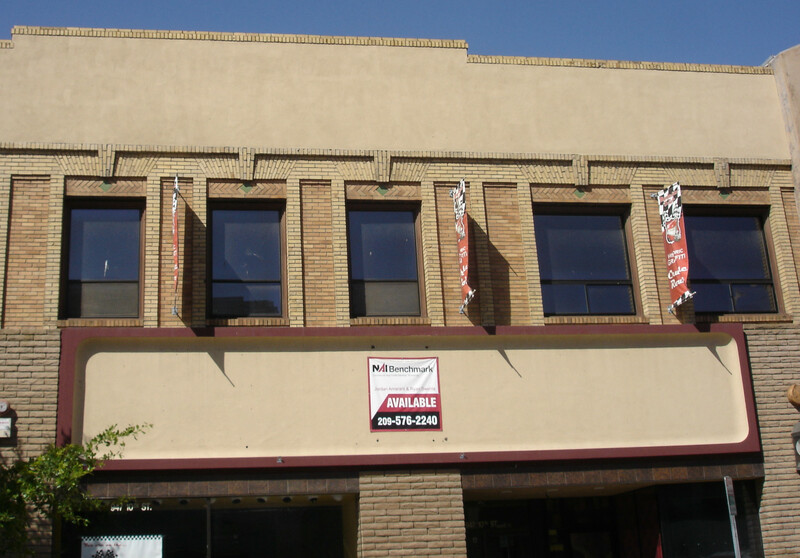 By educating ourselves about these buildings and working with restoration and preservation experts, we can help preserve our past while building a better Modesto for the future. Photo: A band of the original brick is still visible on the 1910 H.L. Wood Building on 10th Street. The building once housed J.C. Penny Company and Longs Drug Store.